Tries by Harvey Scott, Jack Wright, Russell Bennett, Zach Clow, Tom Benjamin and Tom Pearson. Conversions by Russell Bennett (5). Tries by Mike Herbert (2), Ben Egan, Geraint Walsh, Danny Hodge and Lloyd Lewis. Conversions by Matthew Lewis (4). Drop goal by Matthew Lewis. Well, what a game! For the neutral it was quite a spectacle with each side scoring six tries and the lead changed hands no fewer than eight times, writes Ray Ruddick. However, for those involved with the two clubs it was nail-biting stuff throughout the match. With Matthew Lewis’ 78th minute drop goal to win the game and the news that Narberth lost at Tata Steel, meant that Pooler cannot be caught at the top of the table so have won the WRU National Championship for the third season running. A remarkable achievement, so many congratulations to the players, coaches and everyone connected with Pontypool RFC for successfully defending the Championship title. Pontypool kicked off defending the scoreboard end of the ground on a very pleasant and sunny afternoon in Cyncoed. In the 10th minute Cardiff Met were penalised for side entry just outside their 22. Pontypool kicked for the corner and from the ensuing driving lineout, second row Ben Egan scored a try, 5 metres in from the left corner. Outside half Matthew Lewis kicked a fine conversion (7-0). Three minutes later back came the students with a try by flanker Harvey Scott, converted by outside half Russell Bennett (7-7). In the 23rd minute Cardiff Met took the lead with a try near the posts by centre Jack Wright with Bennett slotting the conversion (7-14). Pooler then made a change with Ollie Drake replacing tight head prop Craig Price. Pontypool responded three minutes later with a great break by flanker Mike Herbert which took play from Pooler's half to near the home 22. The ball was then recycled, reached Matthew Lewis who put in a neat grubber kick to the right corner and full back Geraint Walsh scored a try which was converted by Matthew Lewis (14-14). Just before the half hour mark the students regained the lead with a kick ahead and Russell Bennett scored a try to the left of the posts but failed with the conversion attempt (14-19). In the 40th minute Pooler won a lineout from just outside Met’s 22. The Pontypool forwards drove the home eight back fully 25 metres and second row Danny Hodge scored a try to the right of the posts. Matthew Lewis added the extras. Half time score – Cardiff Metropolitan University 19 Pontypool 21. In the first minute of the second period Cardiff Met’s left wing Zach Clow scored a try to the left of the posts, converted by Russell Bennett to put the students back in front (21-26). Five minutes later Pooler drew level with a try by right wing Lloyd Lewis with the young speedster sprinted from Met’s 10 metre line, beating a couple of defenders to touch down to the left of the posts. The conversion was disallowed even though both touch judges put their flags up (26-26). 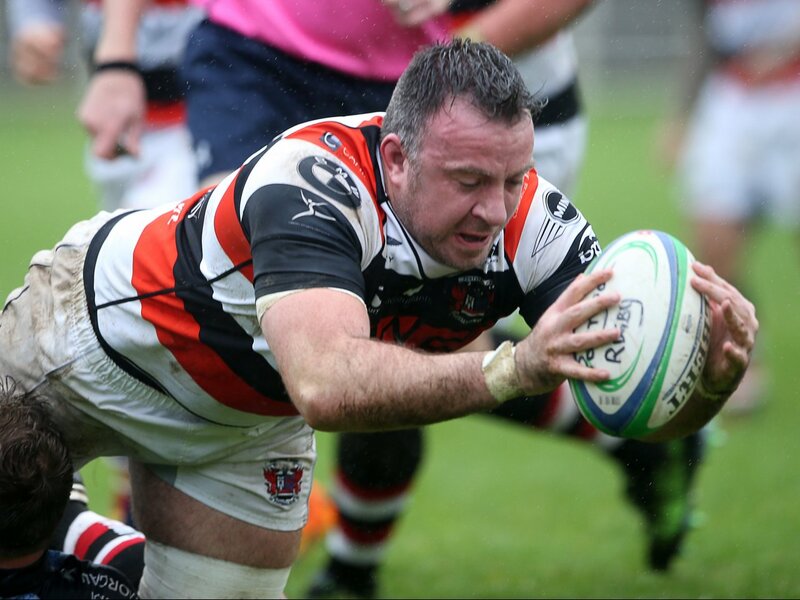 In the 54th minute following a powerful Pooler driving maul near Met’s 22, flanker Mike Herbert came out with the ball and dived over for a try, 10 metres in from the right corner. The conversion attempt just missed (31-26). In a see-saw game MEt went back into the lead thanks to a try by full back Tom Benjamin and conversion by Russell Bennett (31-33). Pooler then made a substitution with Ceri Morris, having taken a knock, replaced by Kieran Meek. With fourteen minutes to go, the students scored again when second row Tom Pearson went over for a try to the left of the posts and Russell Bennett converted (31-40). This took the students into a two-score lead. The question was can Pontypool pull back the nine-point deficit. Pooler left wing Rhodri Usher was then replaced by Aaron Quick. Quick went to his usual position of scrum half and Martin Luckwell, who started in the number 9 jersey, went out to the wing. Then Scott Matthews replaced Ben Sparks in Pooler’s back row. On 72 minutes Pooler were on the attack and, after several drives towards the line, Mike Herbert managed to dive over to score a try to the right of the posts – his second of the afternoon. Matthew Lewis converted to bring Pontypool to within two points of their hosts. Pooler’s experienced front rower Jamie Jeune was replaced by Corey Hewlett at loose head prop. Then it was drama at Cyncoed with two minutes to go, as Pooler applied pressure inside the home 22 and tested the students’ defence. Pooler managed to work play into midfield. Matthew Lewis settled in the pocket and, with an accurate pass from Aaron Quick, dropped a neat goal to put the visitors back in front (41-40). 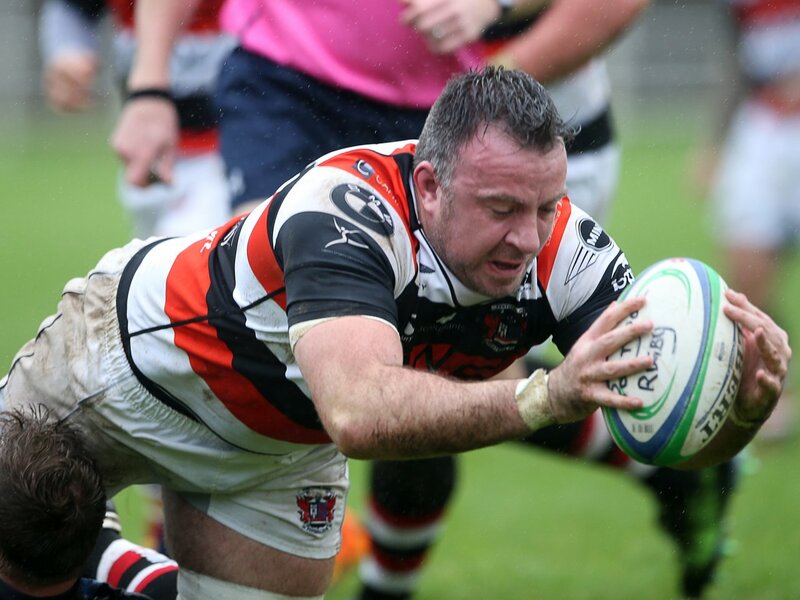 Pooler managed to hold on for the final two minutes to record a great win. Final score Cardiff Metropolitan University 40 Pontypool 41. 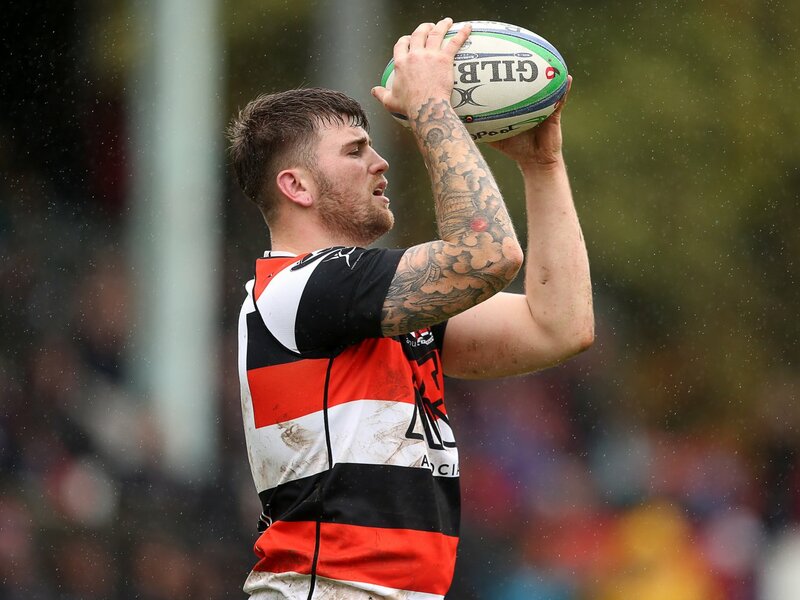 It wasn’t a great performance by Pooler as their defence, which is usually very solid, was somewhat below par and they struggled to manage the re-starts. They can count themselves a little fortunate to have beaten a very good Cardiff Met outfit which looked dangerous with ball in hand. However, Pontypool dug deep and managed to get over the winning line to keep their 100% league record this season and retain the Championship crown with still 5 games to play – a great effort so well done to everyone involved, your hard work has been rewarded. Next Saturday Pontypool will make the journey to Eugene Cross Park in Ebbw Vale to take on last season’s Premiership champions and current leaders, Merthyr in the semi-final of the WRU National Cup with kick-off at 5.30pm. The game will be broadcast live on BBC 2 Wales. The next league game will be on Saturday 13 April when Pooler welcome Bedlinog to Pontypool Park, kick-off 2.30pm. Pontypool: Geraint Walsh, Lloyd Lewis, Clayton Gullis, Ceri Morris (replaced by Kieran Meek), Rhodri Usher (replaced by Aaron Quick), Matthew Lewis, Martin Luckwell, Jamie Jeune (replaced by Corey Hewlett), Alex Watkins, Craig Price (replaced by Ollie Drake), Danny Hodge, Ben Egan, Brendan Lampitt (captain), Mike Herbert and Ben Sparks (replaced by Scott Matthews).